Kudos to the spirit of Bangladesh’s entrepreneurs! It is the sheer guts and indomitable fighting spirit that has the readymade garment sector take on all the challenges head-on — be it the image crisis in the aftermath of the infamous Rana Plaza disaster, the time-consuming and financially taxing remediation exercise or the challenges of falling margins and increasing overheads — and yet emerge not only unscathed but stronger than ever before. Despite all these, one particular issue, which is beyond the control of the enterprising business community of the country, is emerging as a big challenge for the thriving apparel sector. 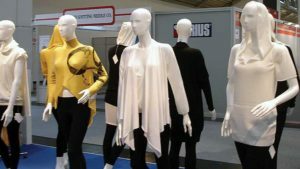 Working within tight deadlines and an ecosystem of rising global competition, the perennial issue of strikes and hartals has posed a serious threat to the export potential of the sector, which as befitting as it could be, wants to attain US $ 50 billion in apparel exports by 2021 to commemorate the 50th year of independence of Bangladesh. Irrespective of the goals, a string of transporters’ strike in the last couple of months is now emerging as a concern, which has the wherewithal to strike a severe blow to the industry and its growth potentials. It all started with the death of a few students in what may be termed as a case of rash driving in the heart of capital Dhaka a couple of months ago this year. What followed was mass students’ agitation which brought business to a standstill. The Government soon swung into action to bring things under control but the ripple effect that manifested in the form of transporters’ strike was something the businesses had not anticipated. First forward to October, another transport strike has again snowballed into a big concern for the industry! The 48-hour strike called on Sunday (October 28) by the Bangladesh Road Transport Workers Federation to press home their eight-point demand including changes to the newly enacted Road Transport Act-2018, had allegedly brought freight traffic to and from the all-important Chittagong Port to standstill thereby severely affecting the exports and imports. The issue, in particular, has been more worrying for the RMG sector! “We are not able to send the export consignment to port or receive imported raw materials. This has severely disrupted production of many factories in Dhaka, pushing them at the risk of order cancellation,” stated Md. Siddiqur Rahman, President of the Bangladesh Garment Manufacturers and Exporters Association (BGMEA), according to whom, about 3,000 factories in Dhaka are facing the risk of loss due to the transport strike. “These factories will face considerable financial losses due to missing shipment deadlines. If the strike continues, it would bring an absolute disaster to the export-oriented apparel industry,” Rahman observed. However, with the Bangladesh Road Transport Workers Federation hardly in a mood to relent, the RMG sector is apparently heading towards facing severe financial implications. “We give the Government 21 days to resolve the problem and if it doesn’t take any effective step by the time, we’ll go on a 96-hour work abstention,” reportedly threatened Usman Ali, General Secretary of the Bangladesh Road Transport Workers’ Federation, which undoubtedly is a very ominous development when looked at from the apparel sector’s perspective.